Peace to man, woman, and child! My name is Adonte’ Cherry also known as Sincere Wallace. 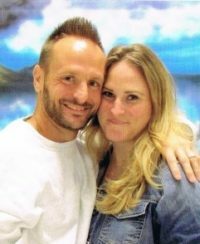 I’m a 38 yr old entrepreneur, author, and conscious individual who’s currently serving a 6 yrs 7 month non-mandatory sentence. I’ve been incarcerated since June 10th 2017 with an earliest release date of March 25th 2022. I’m the owner of Educated Thug Publications where I publish other authors work as well as the 4 urban fiction novels I’ve written titled “Street Royalty 937: I’m So Sincere”…. “Street Royalty 937 II: Seven Takes Over”…… “Street Royalty 937 III: Build And Destroy”……Pound 4 Pound: Mike Mission Story”. My contact info is Adonte’ Cherry #738-700 p.o. box 56 Lebanon, Oh 45036 as well Jpay.com and Instagram is Sincere Wallace. I will be posting as frequently as I can on here about various topics, if there’s anything specific you’d like me to build about please just request it…. I leave as I greet universally in Peace!